Today's construction materials corrode or just disintegrate over time. Infrastructure built with these materials eventually need repair or replacement. New self-healing materials can repair their own structures without human intervention. 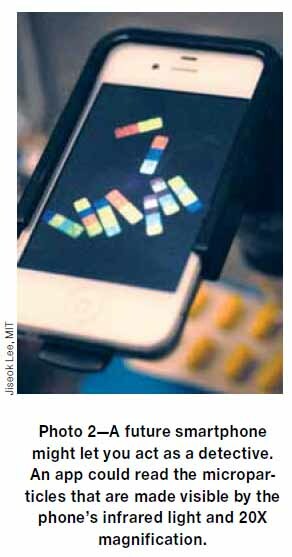 Under the direction of Professor Zhong Lin Wang a group at the Georgia Institute of Technology developed paired nano textile fibers that convert physical movement into electricity. The individual fibers are microscopic in size. (See Photo 1.) 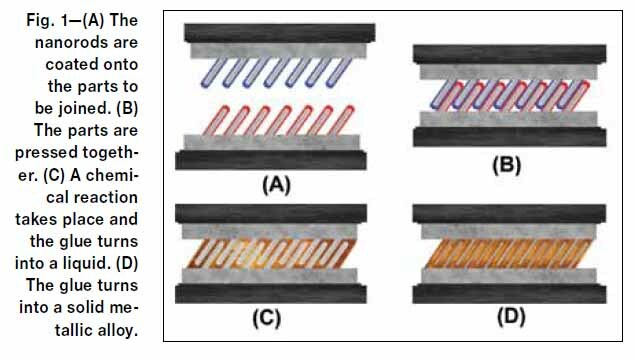 But when you weave enough of them together you create a microfiber nanogenerator that looks like thick threads. A nanotube membrane breakthrough that might soon provide an inexpensive technology that can be used to acquire fresh water from sea water. It is difficult staying ahead of counterfeiters because the equipment needed to produce security tagging keeps dropping in price. This month’s column describes the newest security tagging systems. The first one is infinitesimally small barcodes that are only as long as a human hair is wide. Photo 1 is an exaggeration because without super magnification they are invisible. 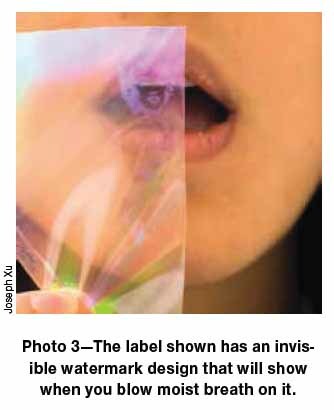 The second new anti-counterfeiting system is an invisible watermark designer label that shows up when it is hit with warm moist air. 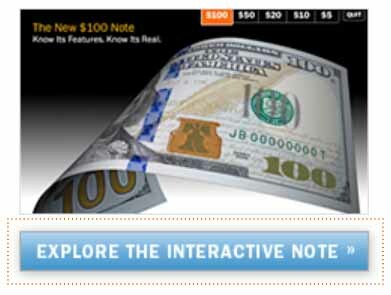 Imagine because of this new technology you can huff and puff and blow the counterfeiters dream of stealing your money away. 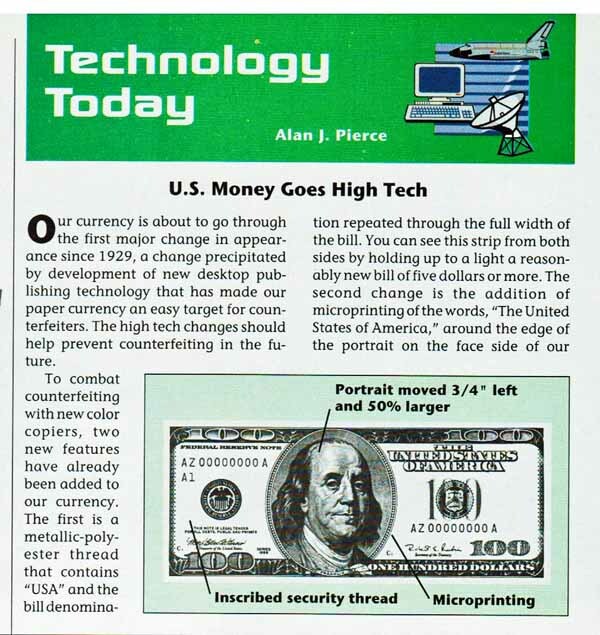 Nineteen years ago I described the best that the 20th century had to offer to keep U.S. currency safe. This thumbnail will can take you back to December 1995. This new joining process is called gluing rather than soldering because it is applied without heat. 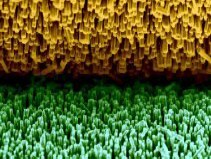 To join two surfaces together both surfaces are coated with a microscopic metallic layer of different nanorod formulations. Pressing them together changes these nanorods from a solid to a liquid and back into a solid again. The Video describes the basics of the process and the column gives you a full understanding as to why this process could change manufacturing. A new alloy breakthrough has Gold increasing the hardness of titanium rather than titanium increasing the hardness of gold. 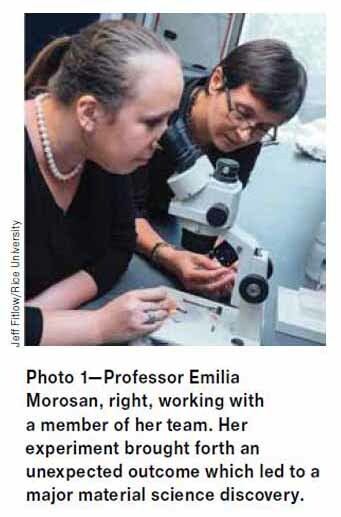 Dr. Morosan and her team at Rice University created it. Researchers at MIT, using a similar approach, created Foam Graphene which is 10 times stronger and10 times lighter than steel. How these researchers did their magic and the possible future uses of what they created is fascinating. 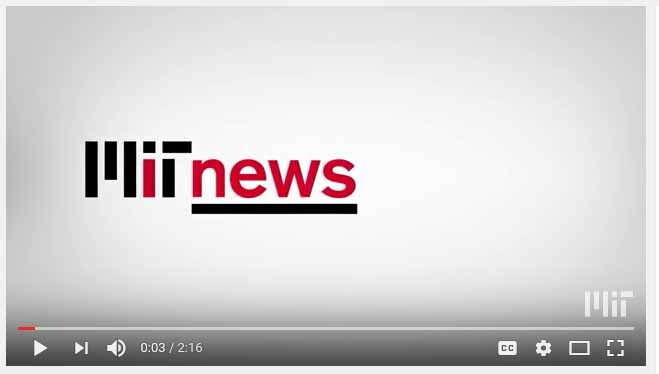 Click the "MIT News" image to watch a YouTube Video on foam graphene. These research breakthroughs have sparked a race to find new materials by doing what the researchers at Rice and MIT did to alter certain conditions during the fabrication process. Simple processing steps were changed which had a magical effect on their raw ingredients.